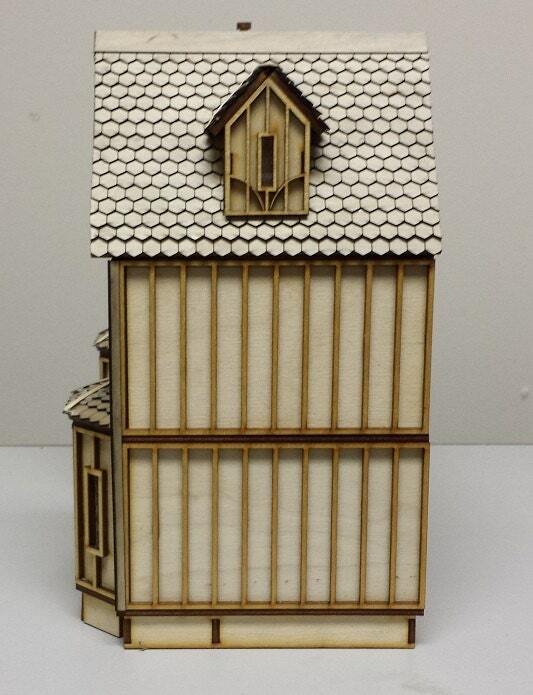 From Ye Olde Tudor England, Margaret is a 1:24 (Half Inch Scale) unique & decorative dollhouse in kit form. 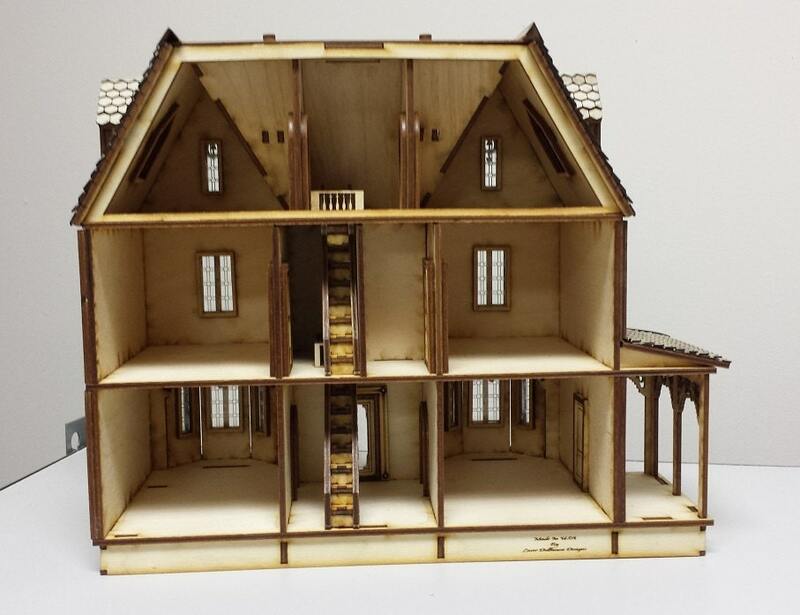 Your kit arrives with everything needed to assemble as in the picture, including: Window frames, Etched Plexiglas window inserts, doors, detailed fretwork interior wall, shingles . 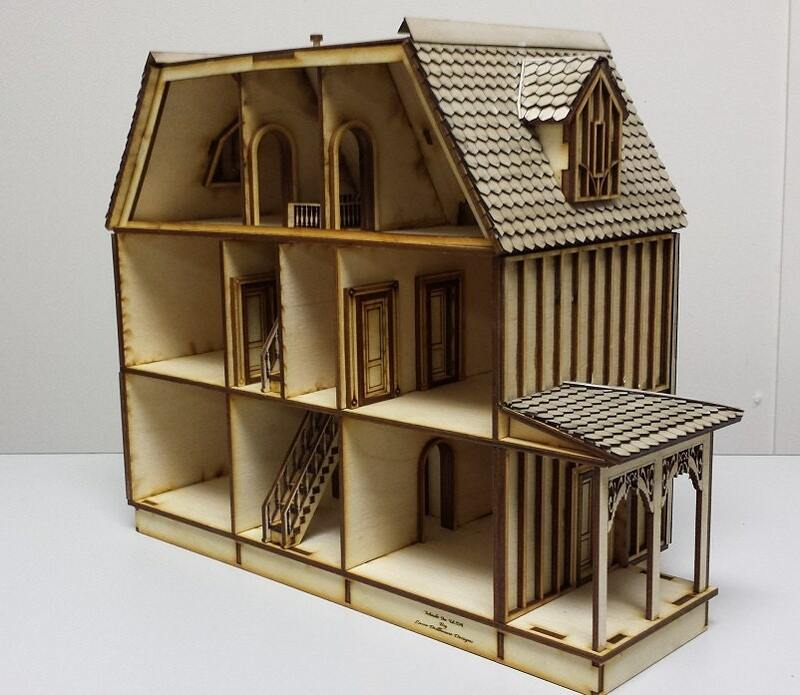 . .
Made in USA from Laser Cut Birch Plywood which is laser cut, bringing precision and fit to your dollhouse diy. 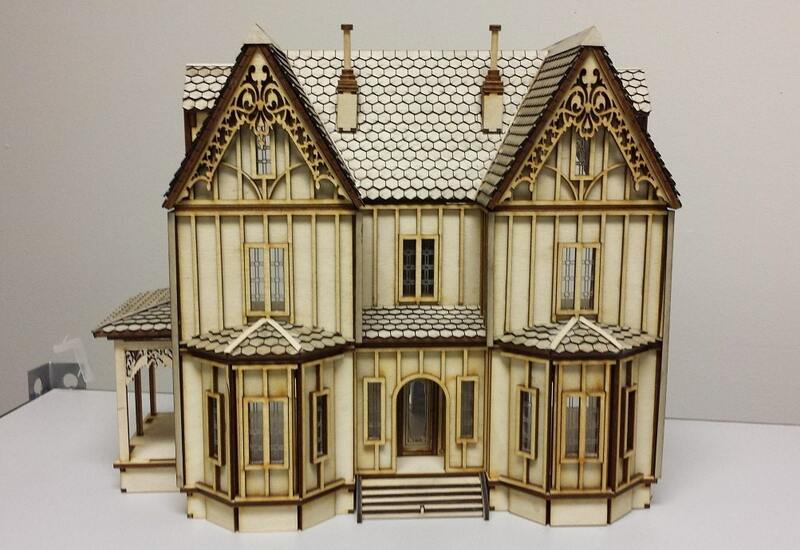 Laser cutting removes the need to spend hours sanding and prepping. 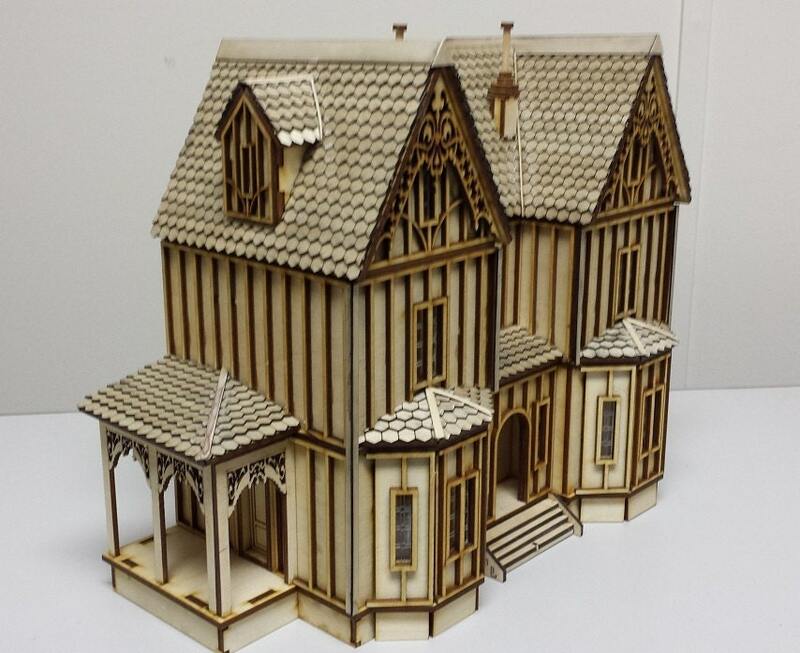 Completed, she measures 24" W x 12" D x 20" H.
Pictured is a non-painted completed house for a reference to give you a good idea of all the detail. Please send Etsy convo or email MiniatureRoseGarden [!at] gmail.com to arrange for international shipping.